Nissan boss Carlos Ghosn is preparing to cut battery manufacturing, people familiar with the matter said, in a new reversal on electric cars that has reopened deep divisions with alliance partner Renault. In what may also prove a politically sensitive blow to Japan Inc., Nissan would follow Renault by taking cheaper batteries from South Korea's LG Chem for some future vehicles, including models made in China. Renault-Nissan "remains 100-percent committed to its industry-leading electric vehicle programme" and has no plans to write down battery investments, spokeswoman Rachel Konrad said. "We have not taken any decision whatsoever to modify battery sourcing allocation," Konrad said, adding that the alliance "does not confirm or deny procurement reviews." But Nissan is already negotiating with manufacturing partner NEC Corp. on the shift to dual sourcing, with Chief Executive Ghosn's backing, the sources said. 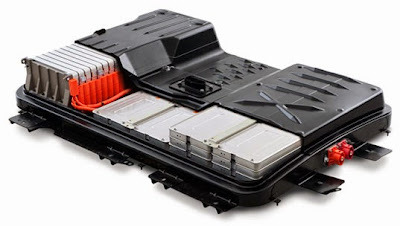 Nissan currently makes all its own electric car batteries. The coming hybrids will fill some of the excess plant capacity, although they use fewer power cells per vehicle. An all-electric Tesla rival is still planned for Nissan's premium Infiniti brand in 2018 with batteries as big as 60 kilowatt-hours (kWh), more than twice the energy capacity of the Leaf, which is due for replacement the previous year. For Nissan, the plant cuts would be a partial retreat from the automotive battery market - expected to top $20 billion by 2020 - just as California-based Tesla builds its $5 billion "Gigafactory" with Panasonic in Nevada. Japanese engineers are still smarting from Renault's 2010 move to drop Nissan batteries and purchase LG for its flagship Zoe model, worsening the overcapacity problem. "It was a 15-20 percent cost gap," said one of the people involved in the Renault decision. "In purchasing, 3-4 percent is usually enough to choose a partner for." Today's Nissan batteries come in at $270 per kWh, based on replacement prices thought to be below cost, according to consulting firm AlixPartners. The true manufacturing cost is believed to be over $300, inflated by the amortisation of unused plant capacity and the burdensome electrodes deal. "When you're developing cutting-edge technology, the best way to know about that technology is to build it in-house," said one. "That's what Tesla is doing." Former Nissan second-in-command Carlos Tavares, racing to beat the Renault Zoe to market, cut Leaf development by a year and skipped a critical battery redesign, according to alliance veterans. Nissan later cut prices, settled a class action and offered retroactive warranties to answer customer concerns about battery deterioration. Tavares now heads PSA Peugeot Citroen. But the CEO's mind may be all but made up. "We're in the process of opening up battery sourcing to a range of suppliers," Ghosn said last week when asked whether Renault could buy batteries from France's Bolloré. In future some batteries will likely be outsourced "within the framework of alliance procurement", he added. "What's important to us is that electric car performance fully meets customer expectations."